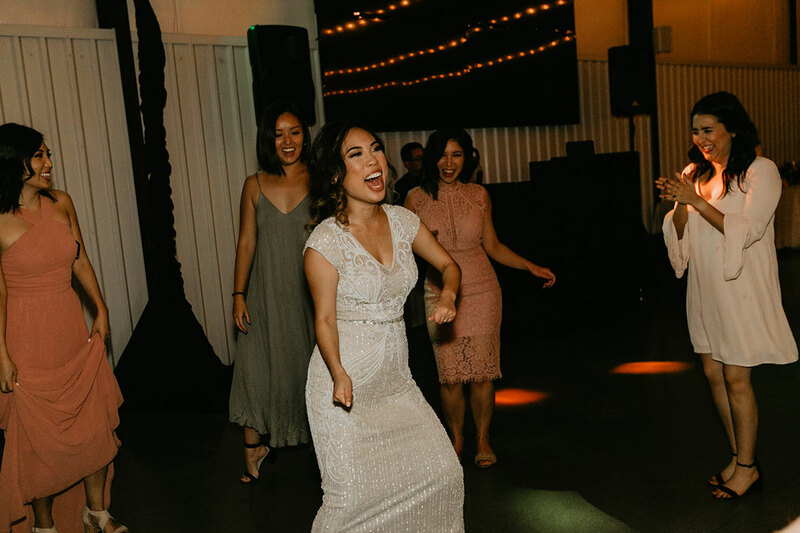 I dos were exchanged and now it was time to let loose and have a good time with family and friends. 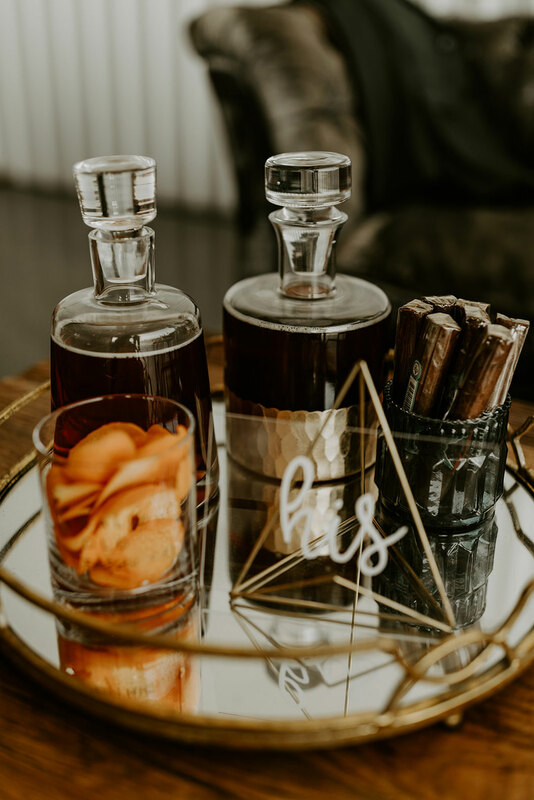 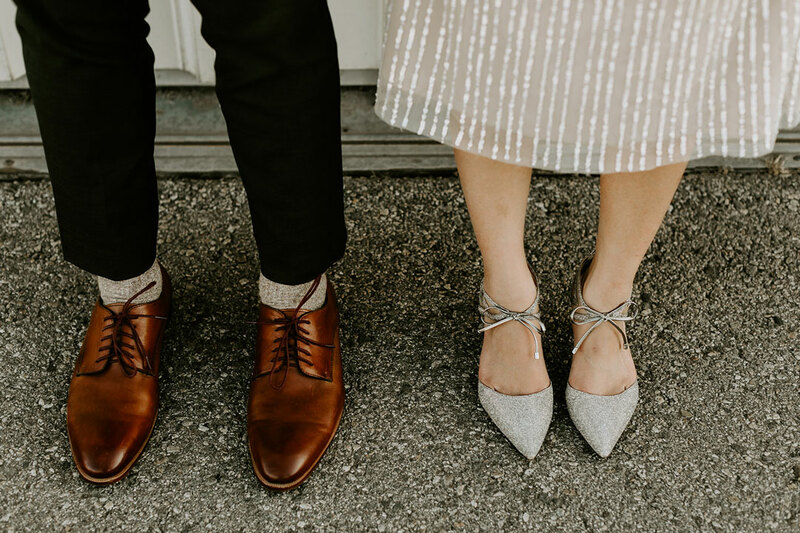 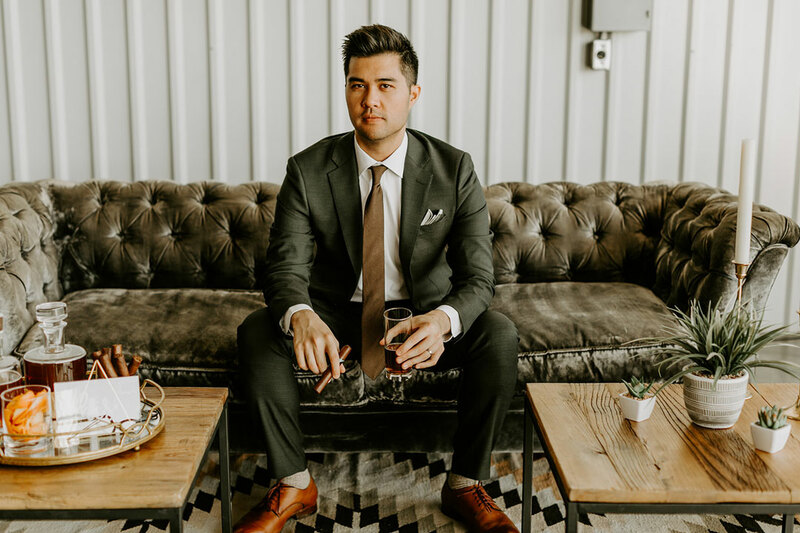 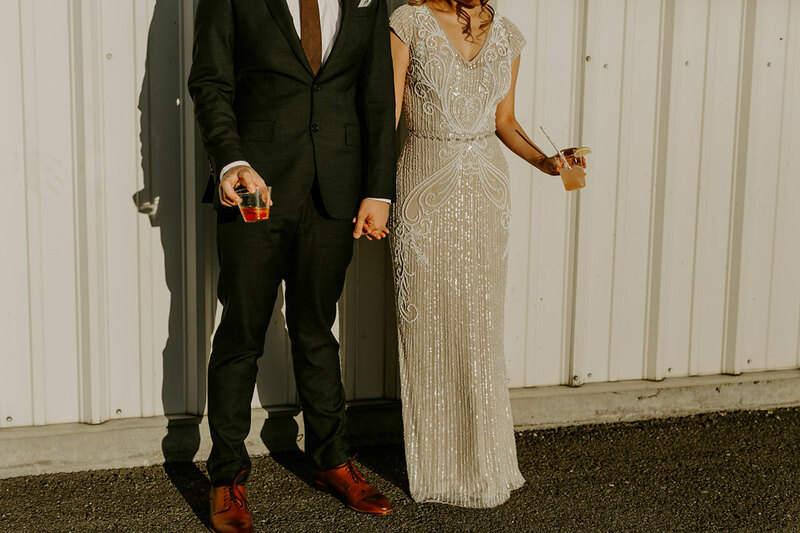 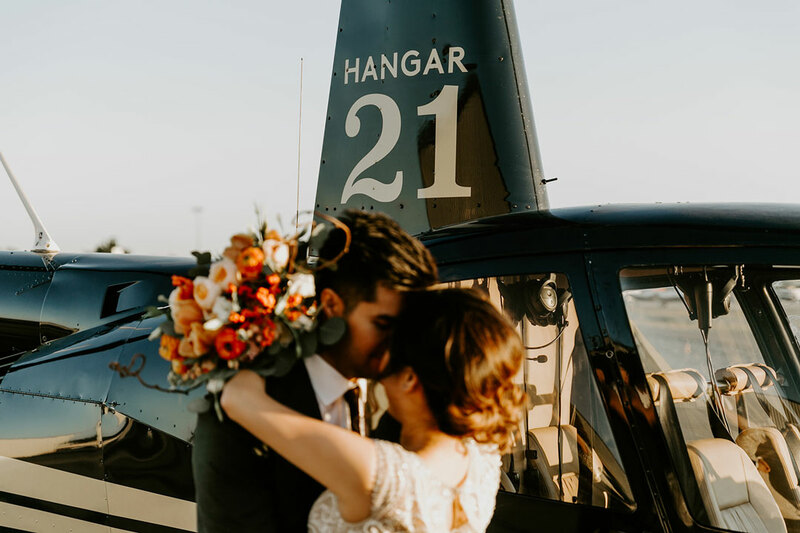 Stella and Michael, along with their wedding party, snacked on sweet and salty treats, sipped on cocktails, and sat back with a cigar while everyone was making their way over to Hangar 21. 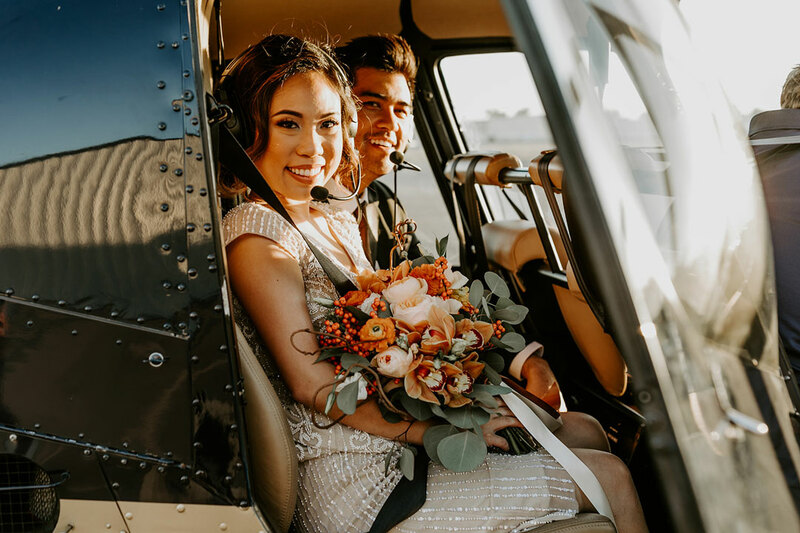 Before the reception could commence, the bride and groom hopped on a helicopter ride for their grand entrance. 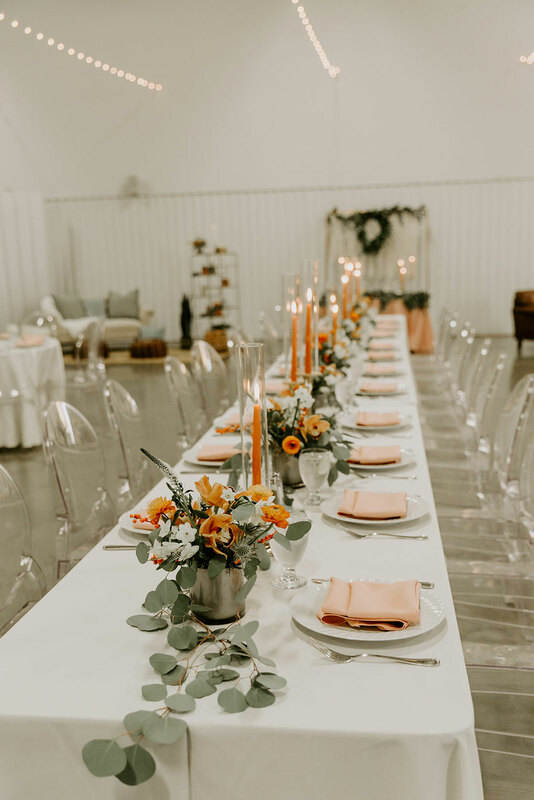 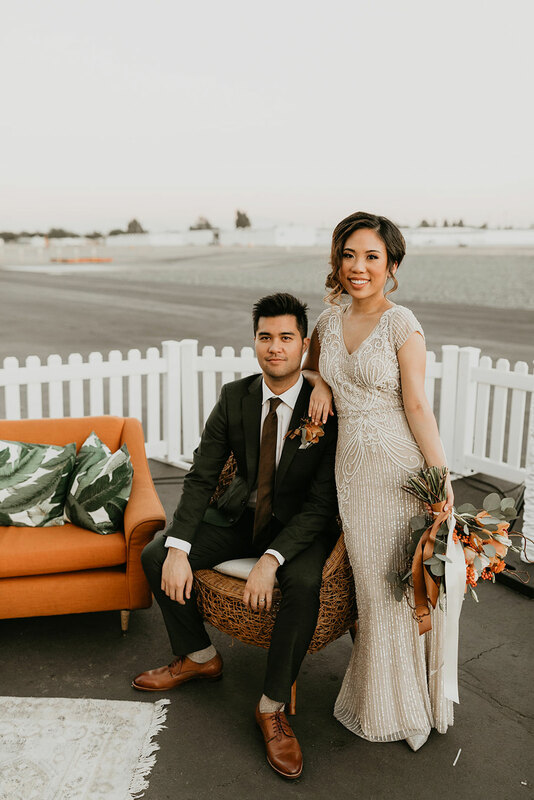 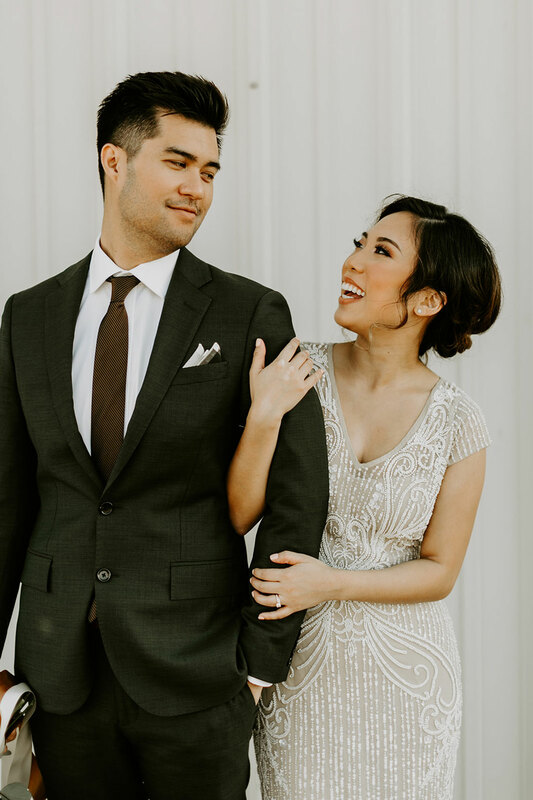 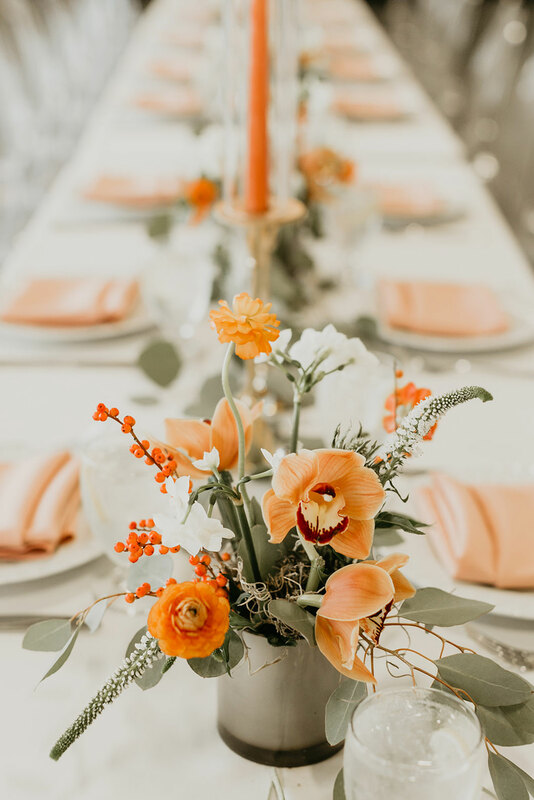 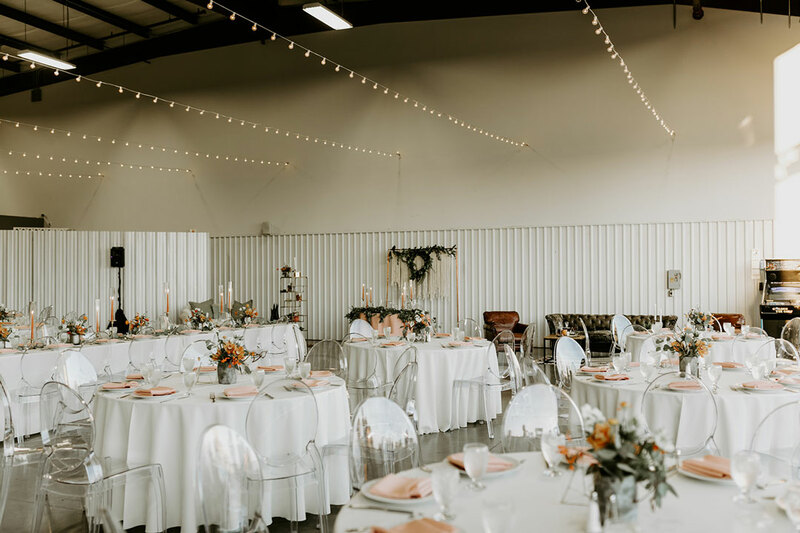 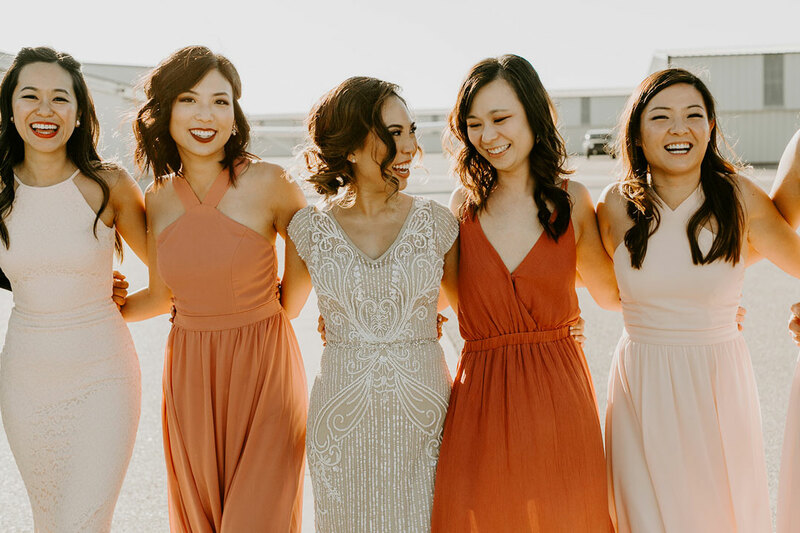 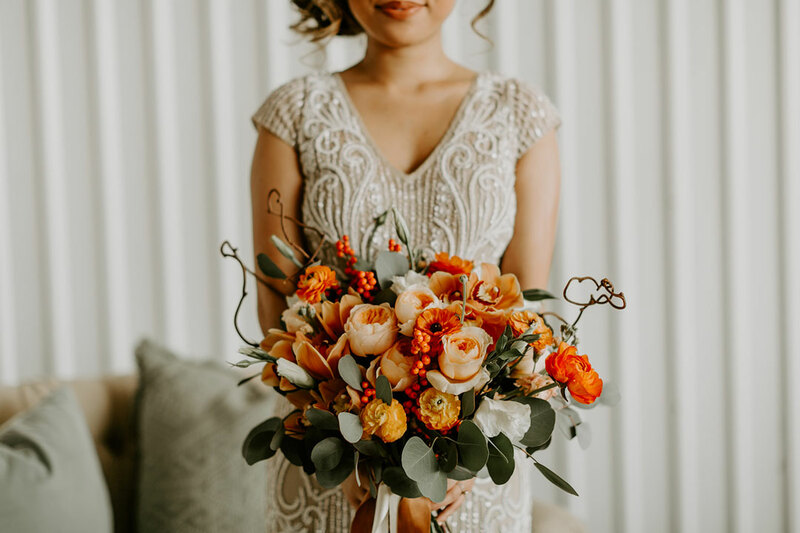 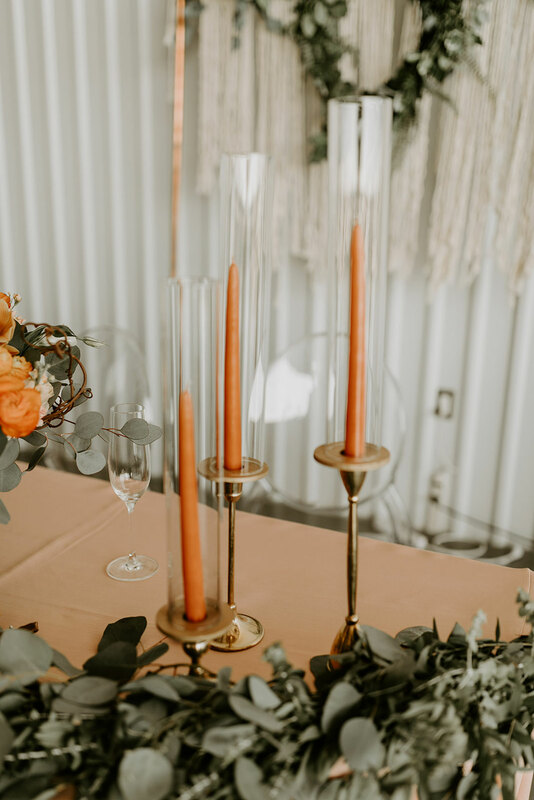 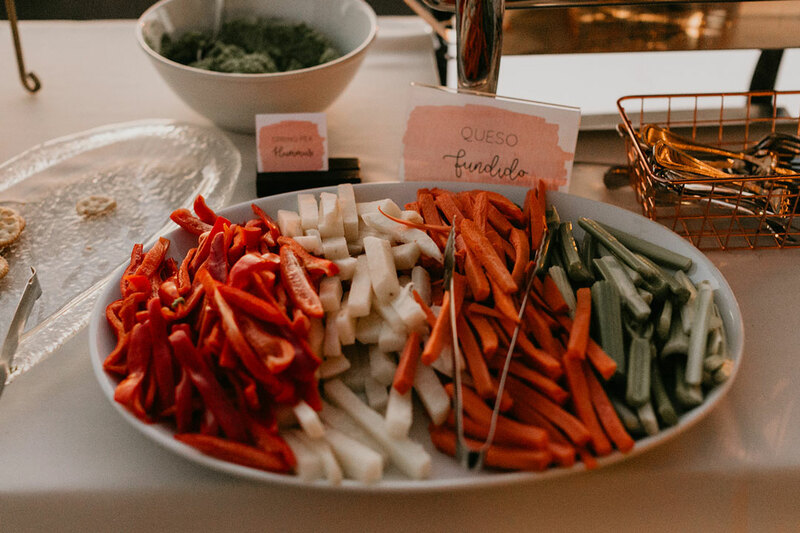 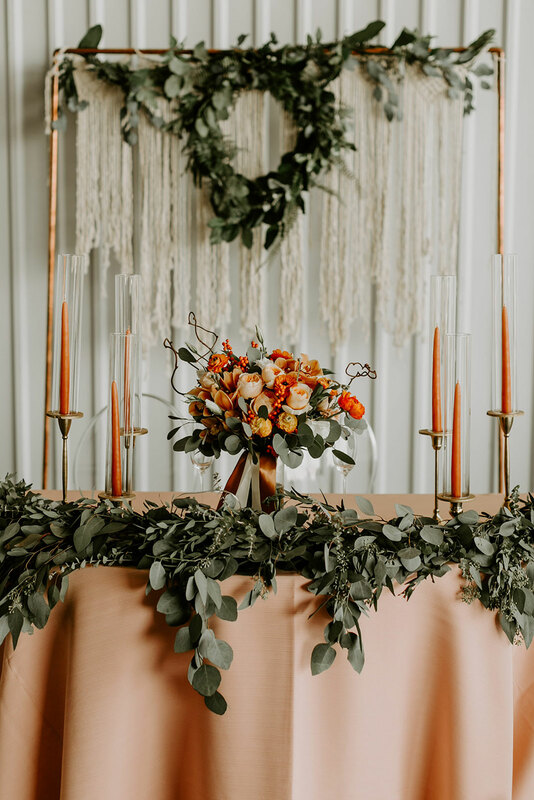 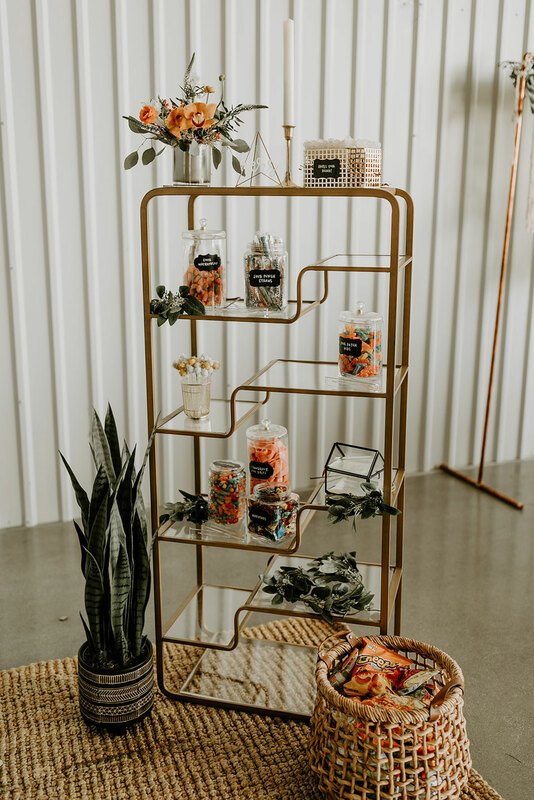 Orange and peach roses, orchids, and ranunculus were the star of the show on each tabletop while the sweetheart table was decorated in tall orange candles, eucalyptus garland, and a macramé backdrop. 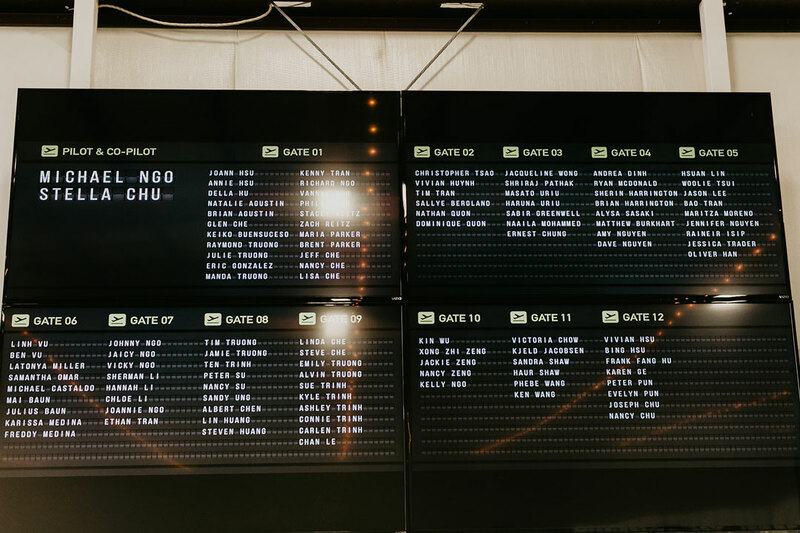 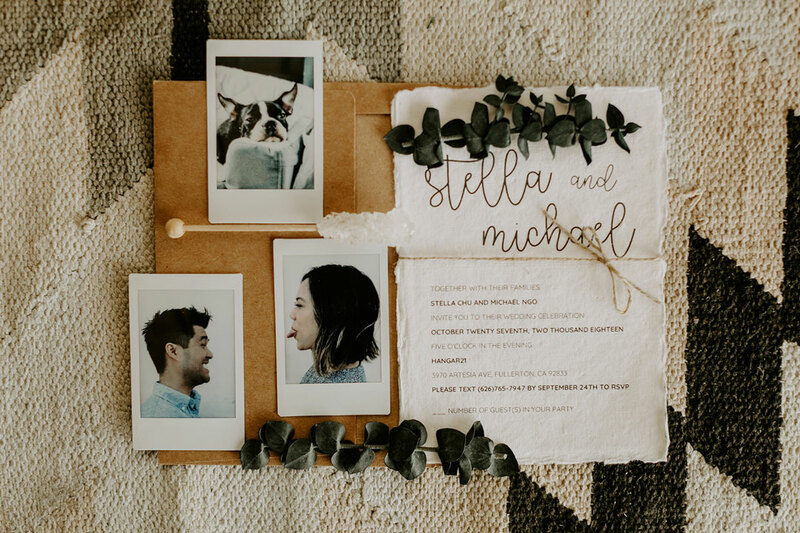 The seating chart was travel inspired and mimicked an airport flight arrival board. 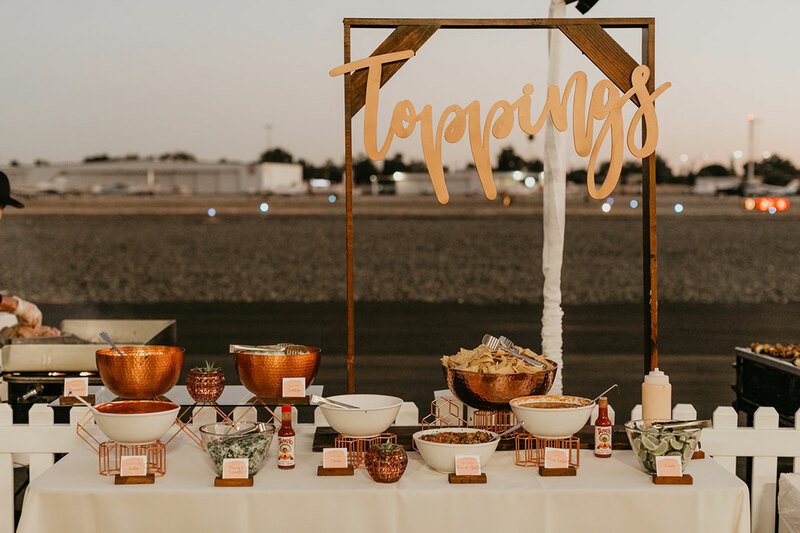 Delectable bites like Warm Monterey Jack Cheese with Chorizo and Fresh Mushroom with Jay’s Famous Tortilla Chips and Basil Cream Cheese Torte with Crackers were ready to be devoured for cocktail hour along with his and hers specialty craft cocktails. 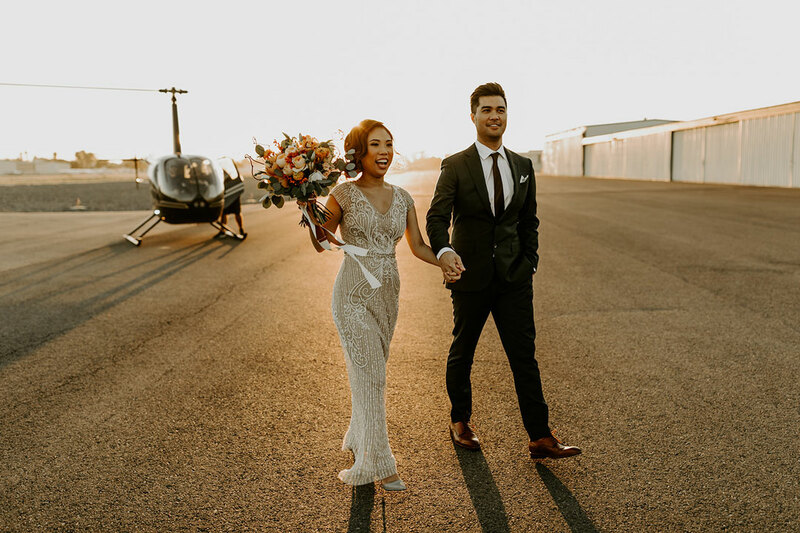 The bride and groom touched down just in time for toasts and dinner. 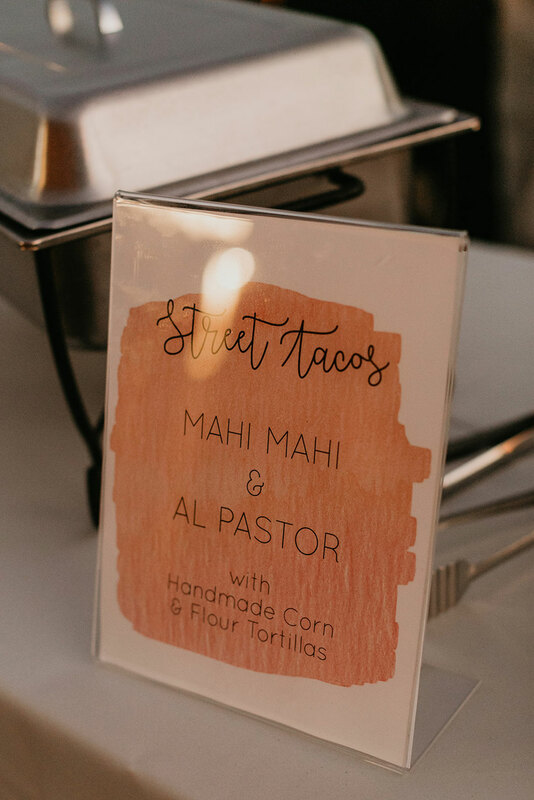 Mahi Mahi and Al Pastor Street Tacos with Handmade Corn and Flour Tortillas were on the menu along with Skewers and Freshly Baked Flatbread. 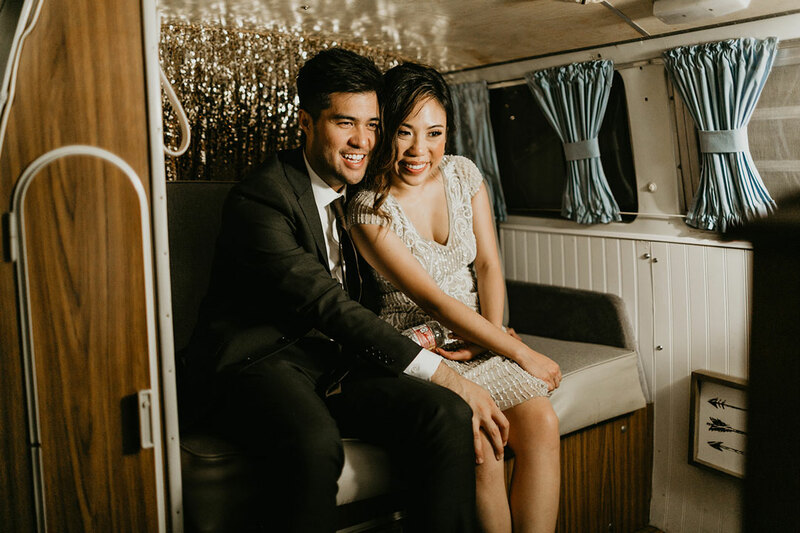 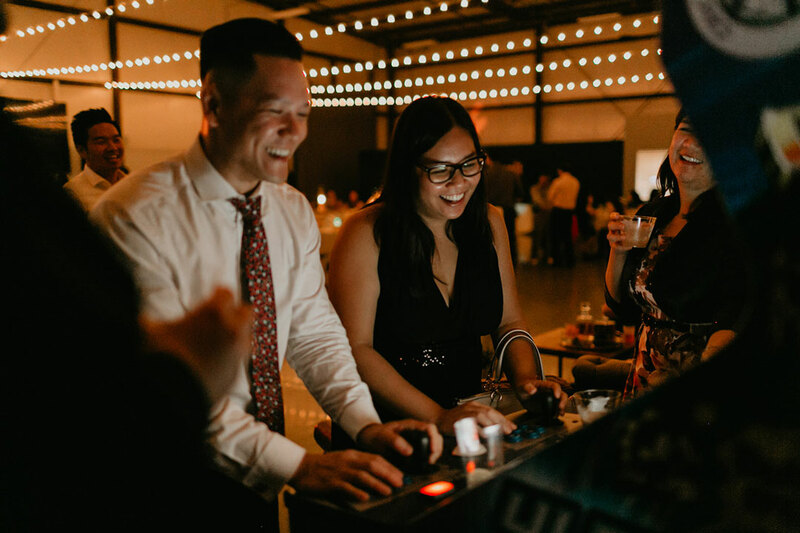 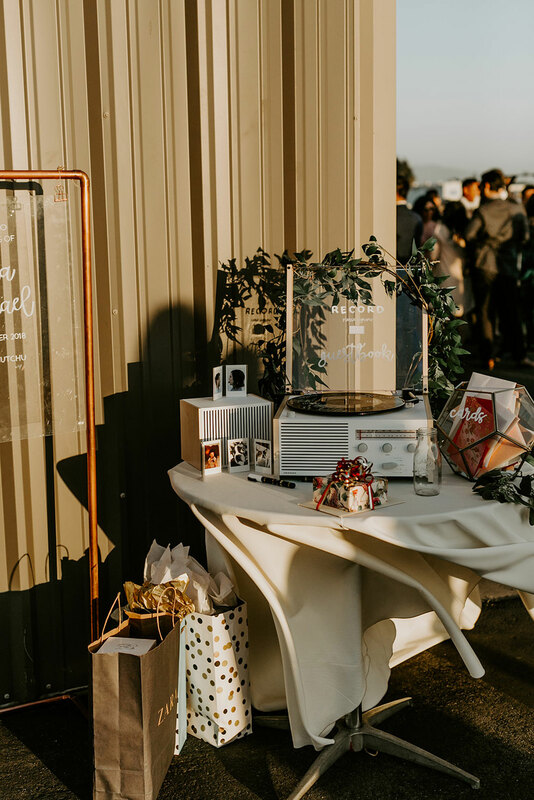 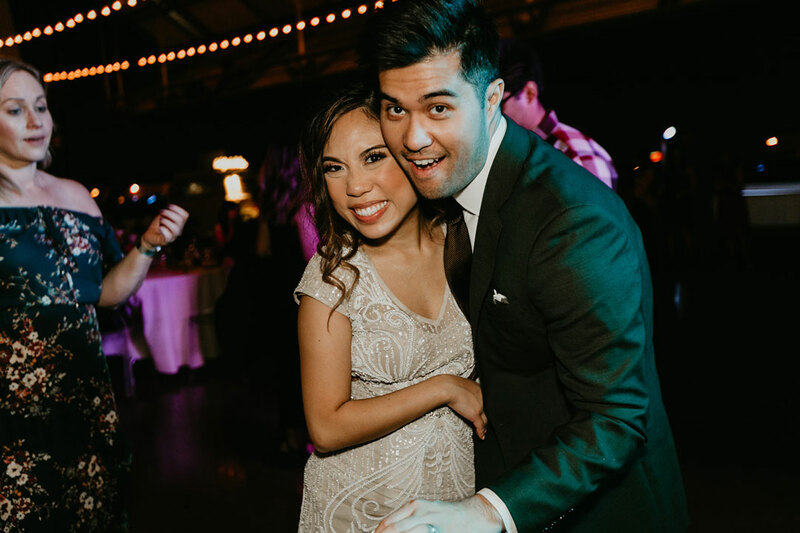 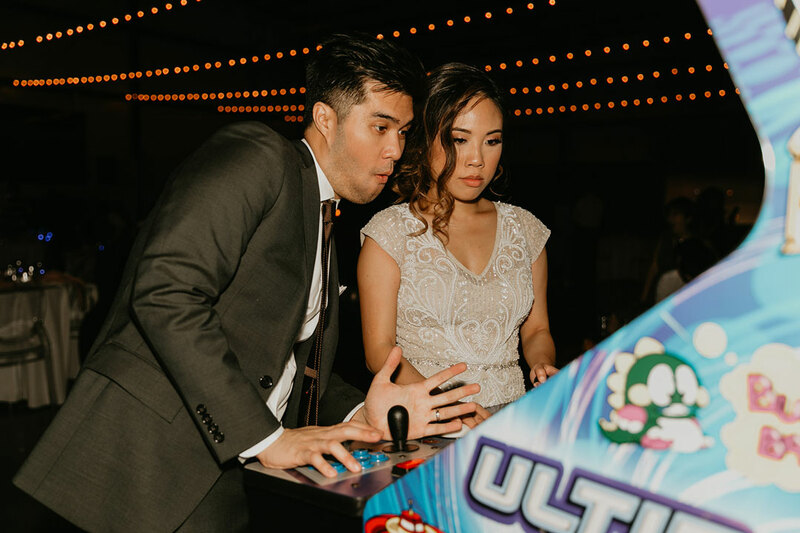 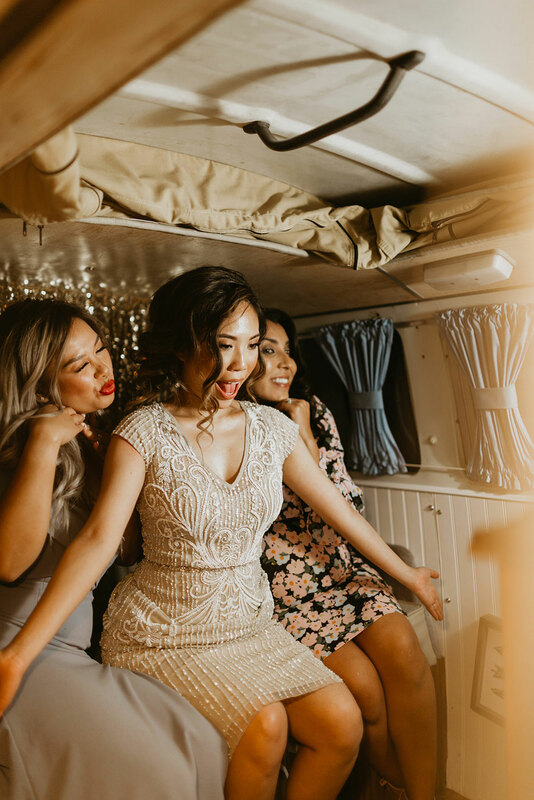 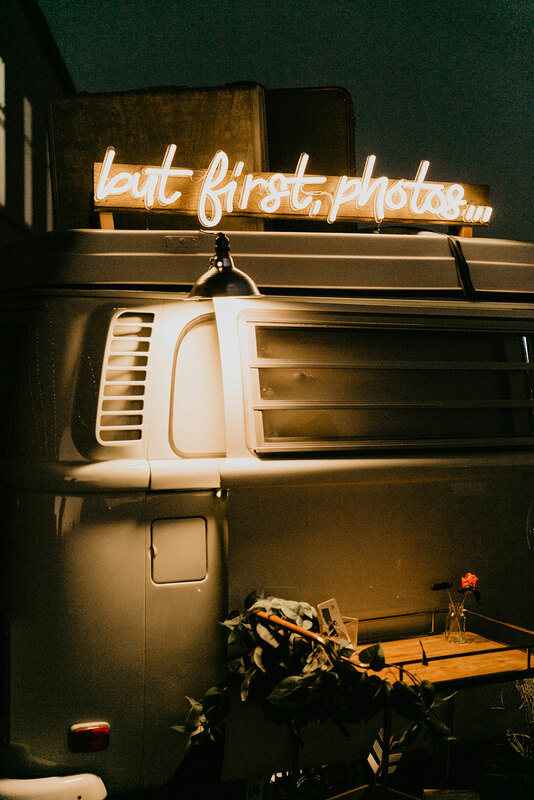 Once everyone finished their meals, the evening was filled with arcade games, dancing, and picture taking inside a photo booth bus.